When it comes to Easter baskets, I try to shy away from candy items & get them practical things they will also be excited about! 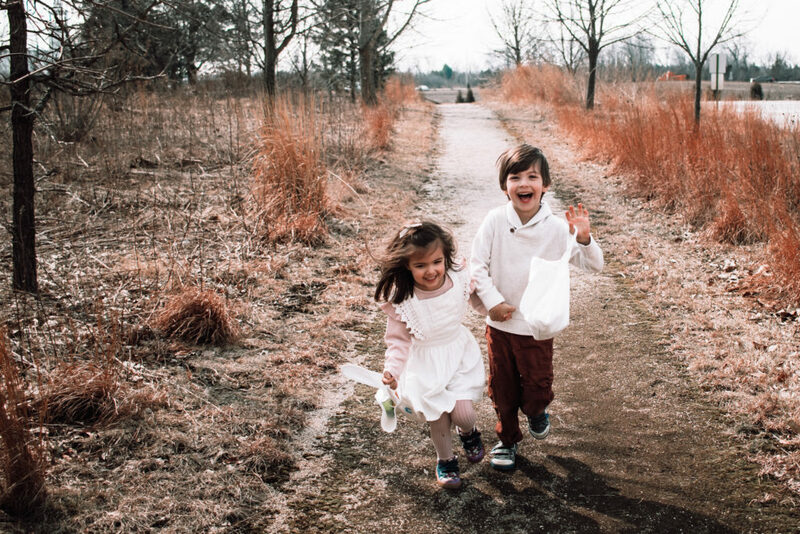 I’ve put together a list of some of my favorite brands & kids products that would go perfect in their Easter baskets this year. If you’re looking for some practical, non-candy Easter Basket Ideas that your kids will love (& actually use! ), check out these adorable items from pediped, GoSili & Stuck on You! The weather is slowly starting to warm up here in Chicagoland & I’ve finally pulled out the Easter decor! 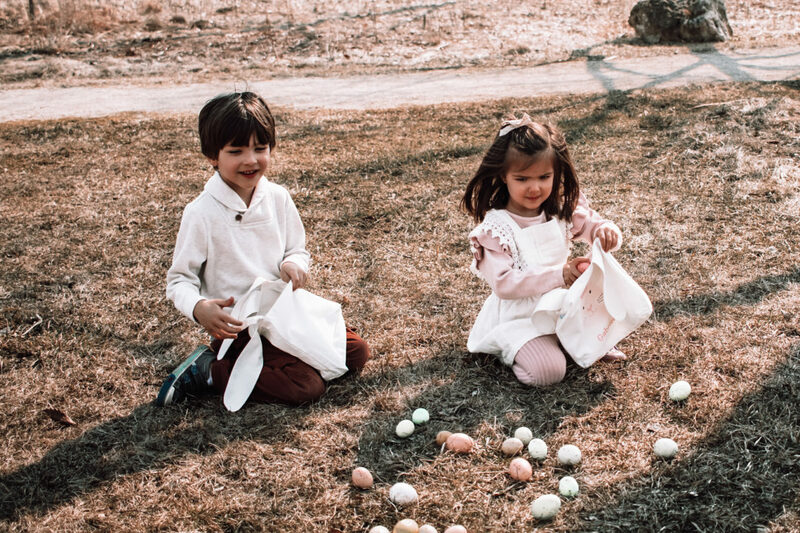 We’re gearing up for the Easter egg hunts & all the festivities to celebrate the season. 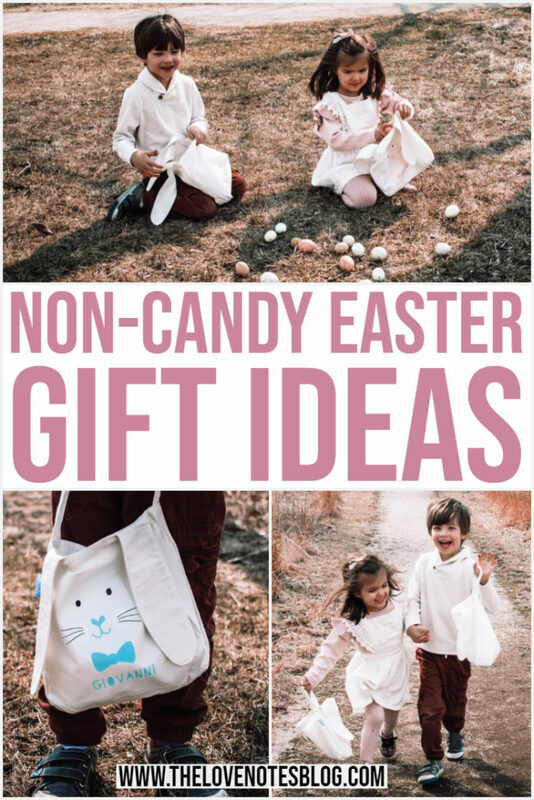 Here are my top picks for unique Easter basket items that your kids will love! 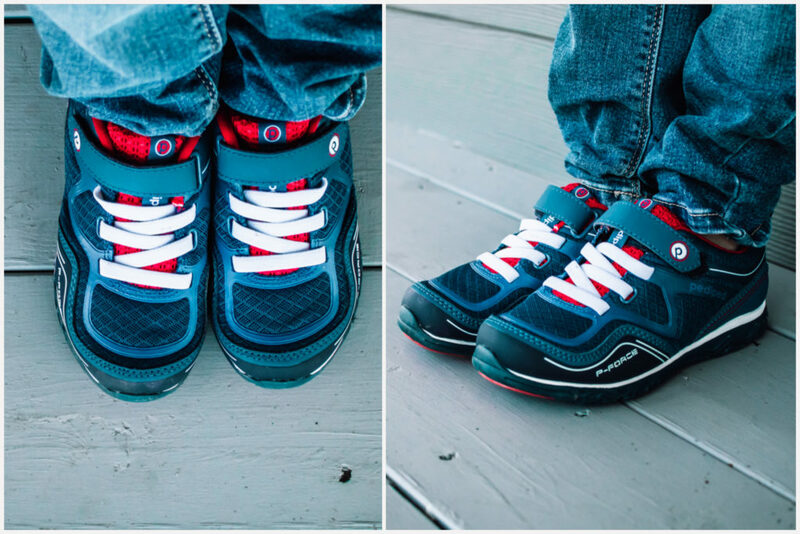 A practical gift for any kid’s Easter basket– new shoes! 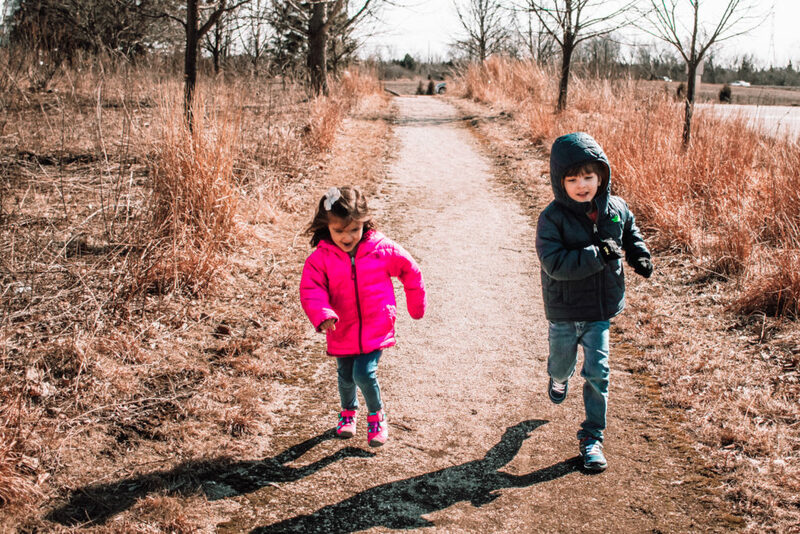 pediped has over 120 designs for both boys and girls between its three lines: Originals, Grip ‘n’ Go & Flex, so there’s something for everyone! 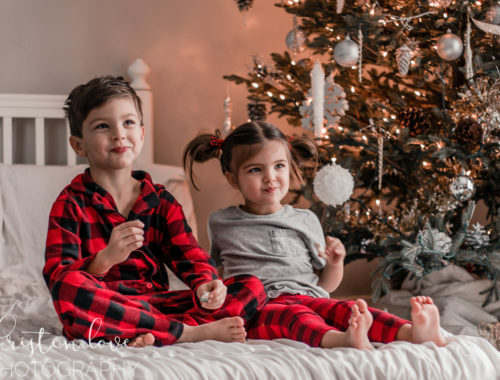 They offer sizes Newborn to 6 Youth, & there are plenty of styles that are perfect for spring & summer. 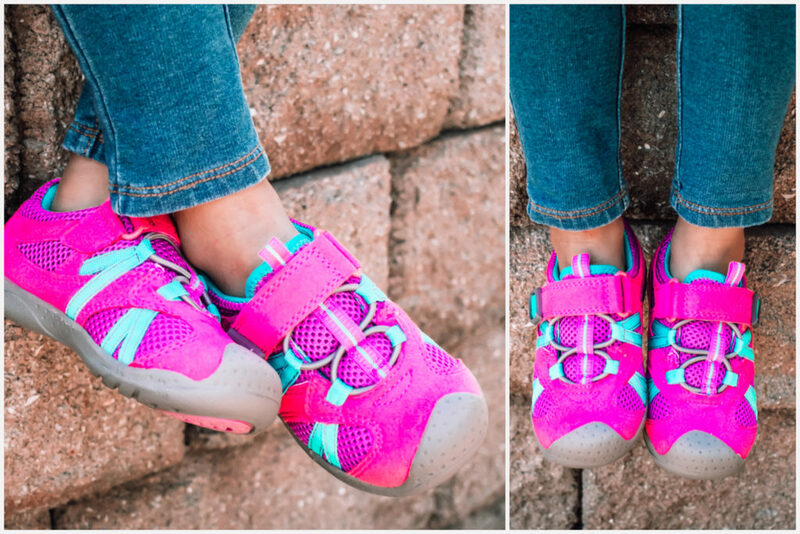 The FLEX® RENEGADE PINK features a light mesh upper with a breathable neoprene lining. 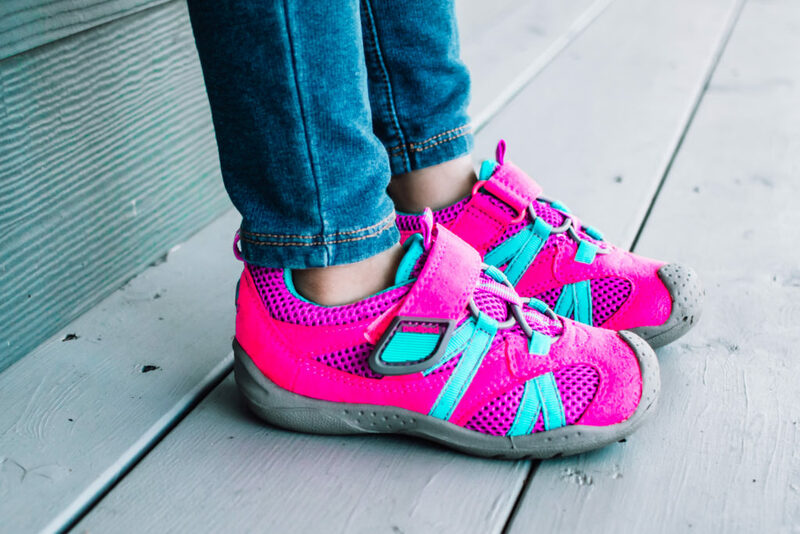 The flexible rubber sole allows for comfort and movability on the playground, while offering plenty of grip to keep kiddos safe. I love that these are machine washable so they can stay looking new no matter how dirty they get on our outdoor adventures. 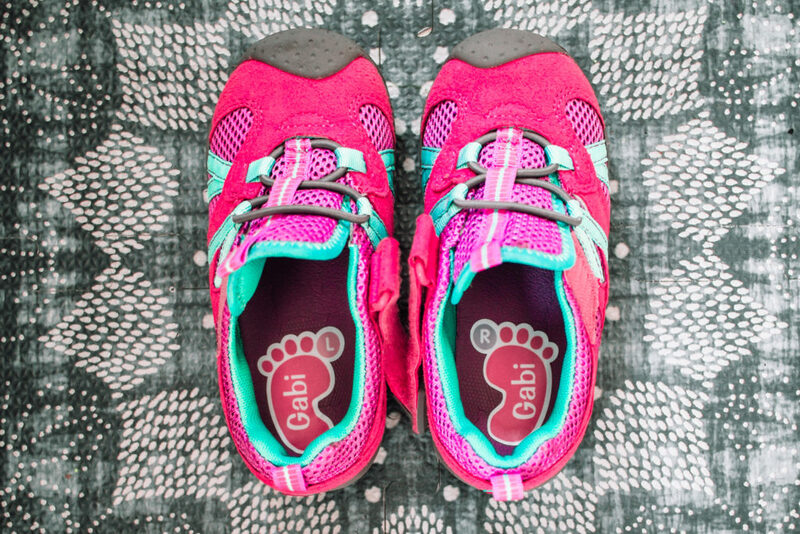 The adorable pink, purple & aqua design has “Gabi” written all over it– she loves these shoes! 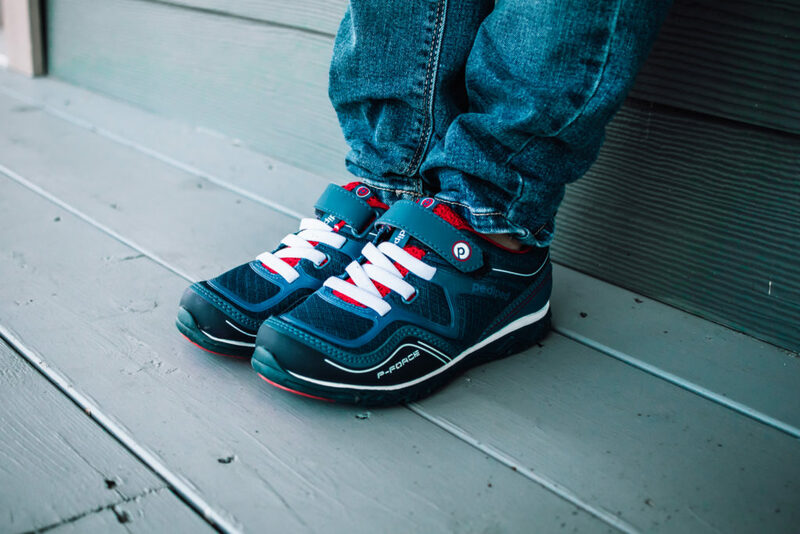 Gio got the FLEX® FORCE BLUE/RED, which feature an ultra lightweight design specially made to support kids’ feet in all activities. These are also machine washable so they’ll stay looking & smelling like new for many adventures to come. 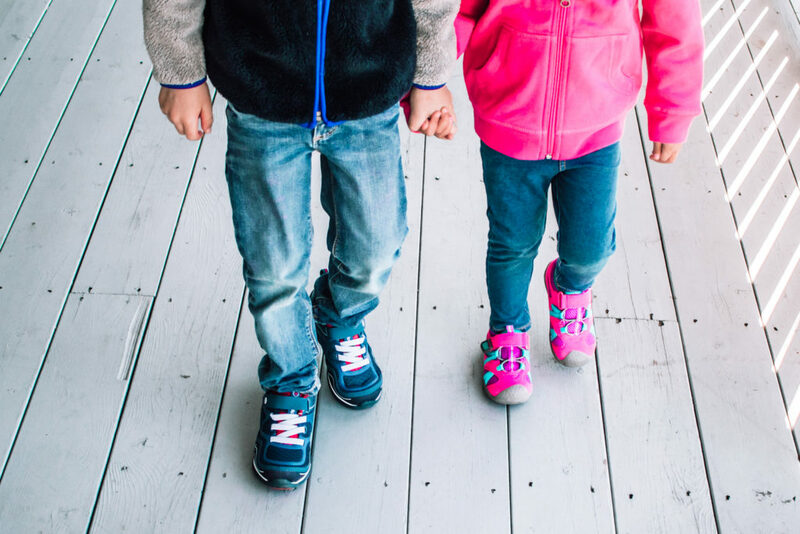 My favorite part about these shoes is the Flex Fit System™ which allows for extended wear– It comes with an extra insole to provide the perfect fit, & can then be removed when the child grows & the shoe gets too snug. Stuck on You features personalized items for baby & beyond, celebrating the individuality of every name! 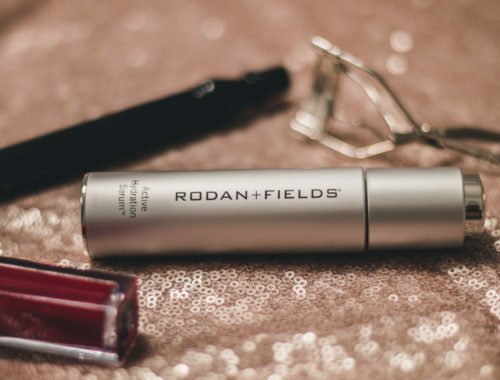 They offer products that bring joy to new parents with unique, timeless products that help them stay organized. 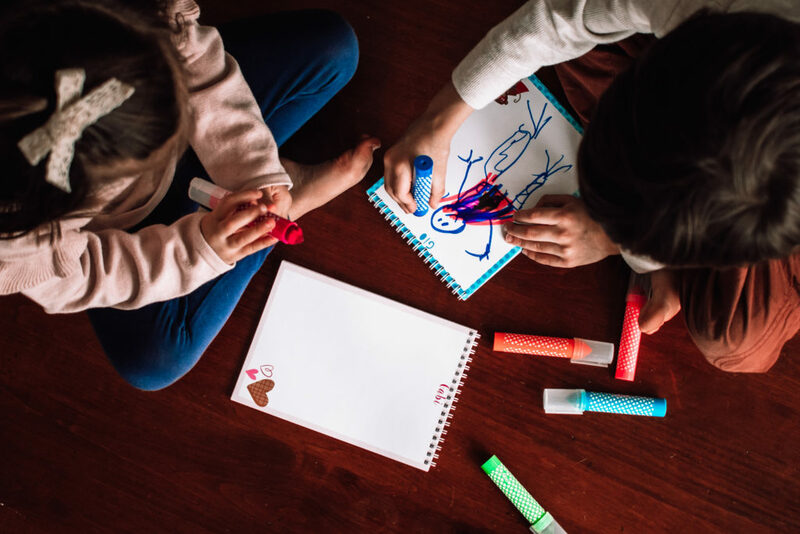 With everything from personalized books and bags to lunchboxes & stationery, Stuck on You lets you design & create products that are perfectly unique to your style. These adorable Easter Egg Hunt Bags are perfect for collecting eggs this Easter in style. 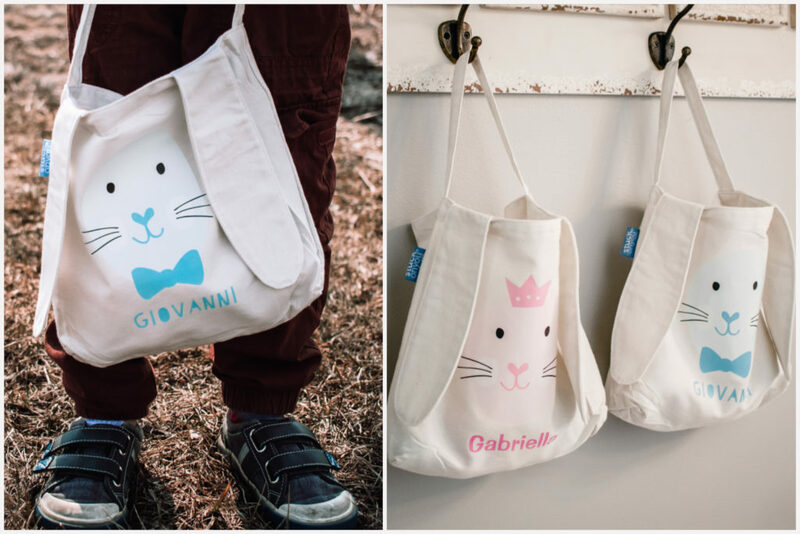 Kids will love the adorable bunny design that features their very own name! 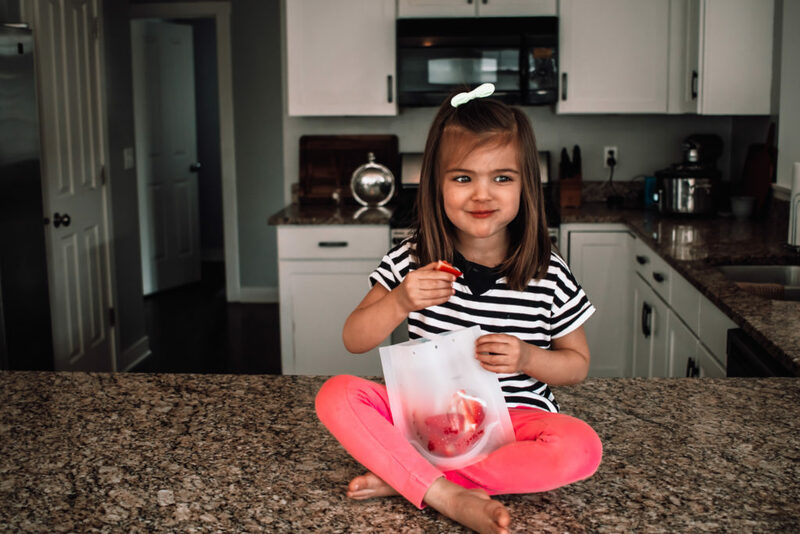 To create your own bag, you can choose from 9 design options & 8 font options, allowing you to personalize each bag according to your child’s style. 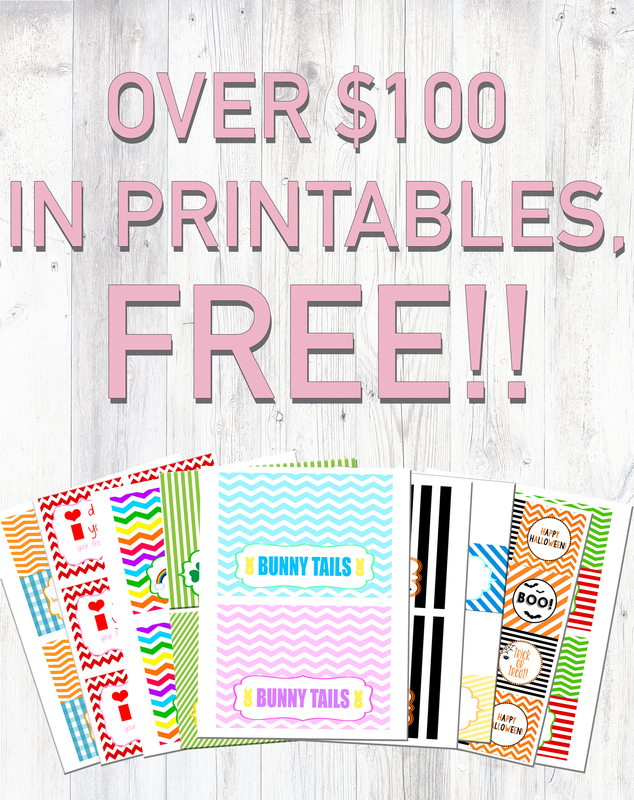 These Personalized Notebooks are such a hit with my kids, & would make the perfect addition to an Easter basket! 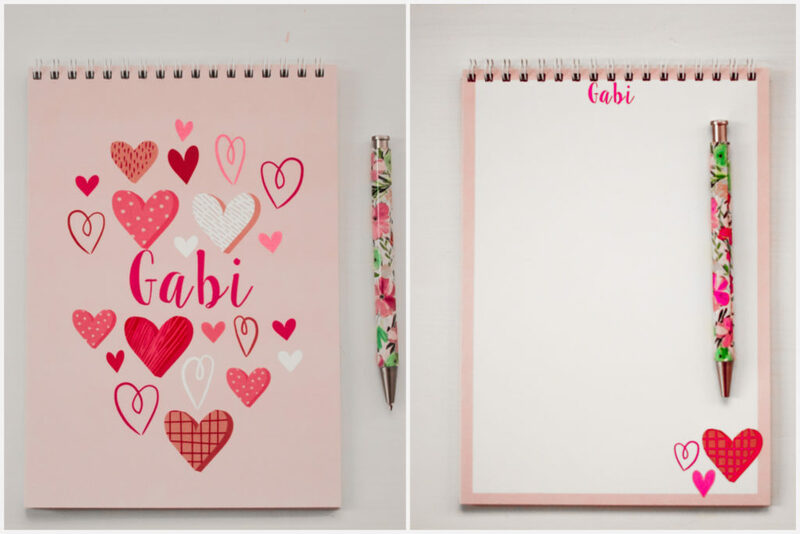 You can choose from 3 color options, 6 design options & 14 font options to create the perfect notebook that your little one will love. These spiral bound top notebooks are perfect for all ages & they will love that each page is personalized with their name & a fun design. Make learning fun with these adorable Shoe Labels! These stickers will help your child learn their left from their right, so they can gain independence when putting their shoes on. 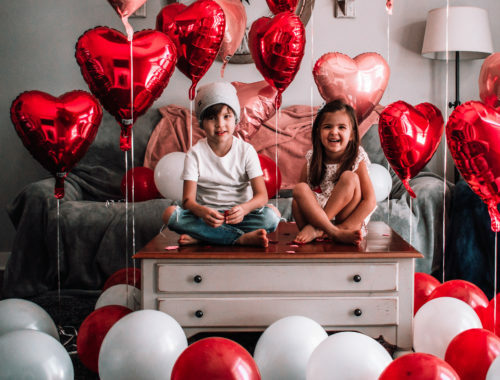 Personalize them with their names & favorite colors, then stick them inside their shoes so they can practice on their own. 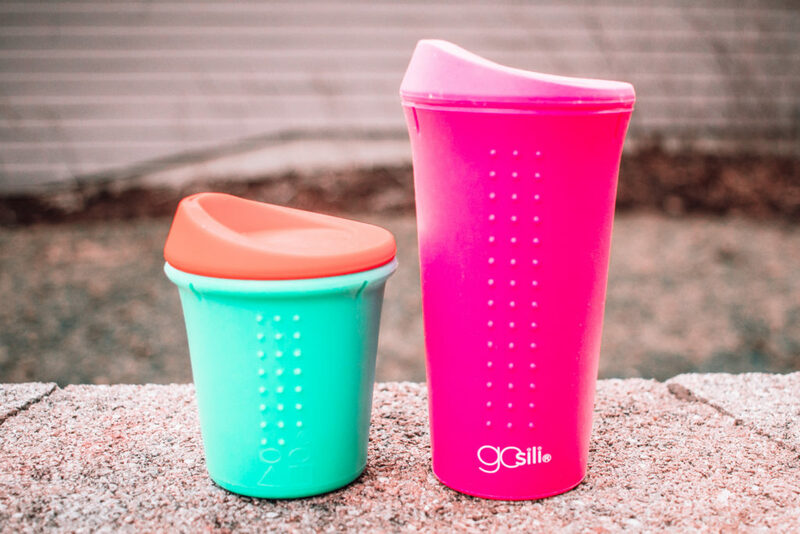 GoSili creates silicone tableware products for the whole family, in an effort to eliminate excess use & waste of disposable paper and plastic products. 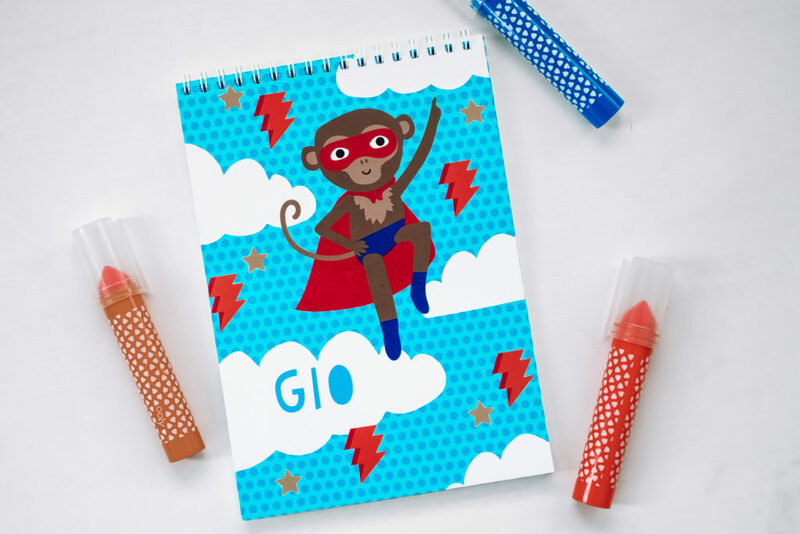 GoSili is the parent company of the award-winning children’s silicone products brand Silikids. 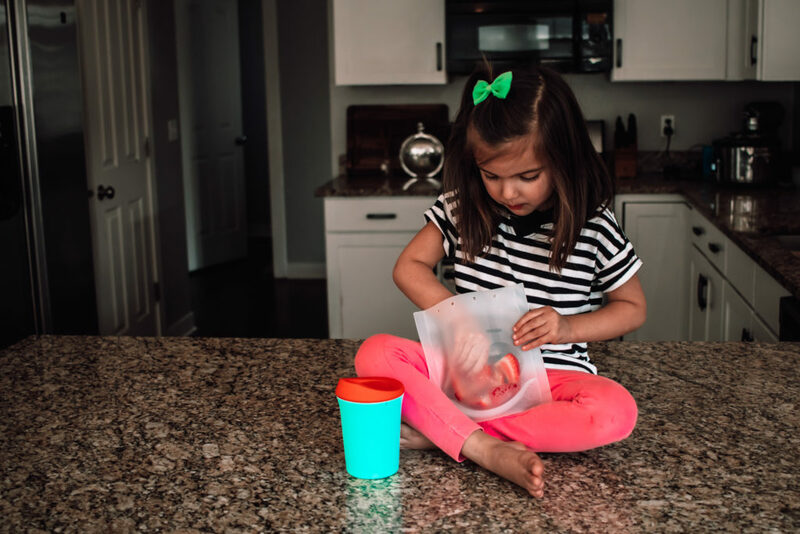 From spill-proof tops to ergonomic designs, Silikids truly has the best in mind for kids tableware products. The Oh! 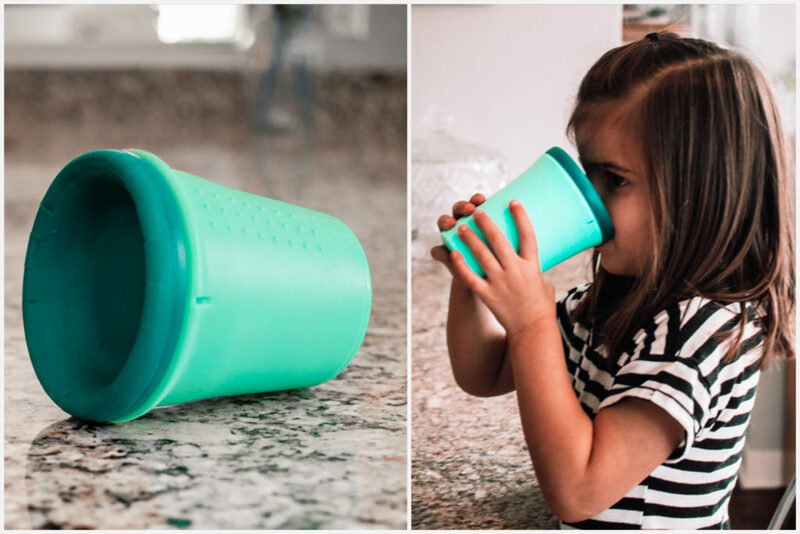 Cup is a unique design that allows you to sip from any side while remaining spill proof! 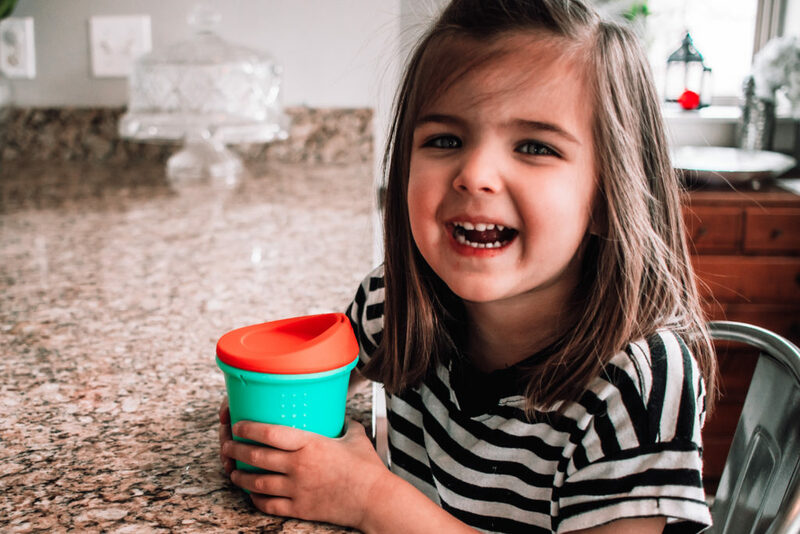 Perfect for kids that are learning to drink from a big kid cup & beyond, this cup is 100% silicone, dishwasher & microwave safe. 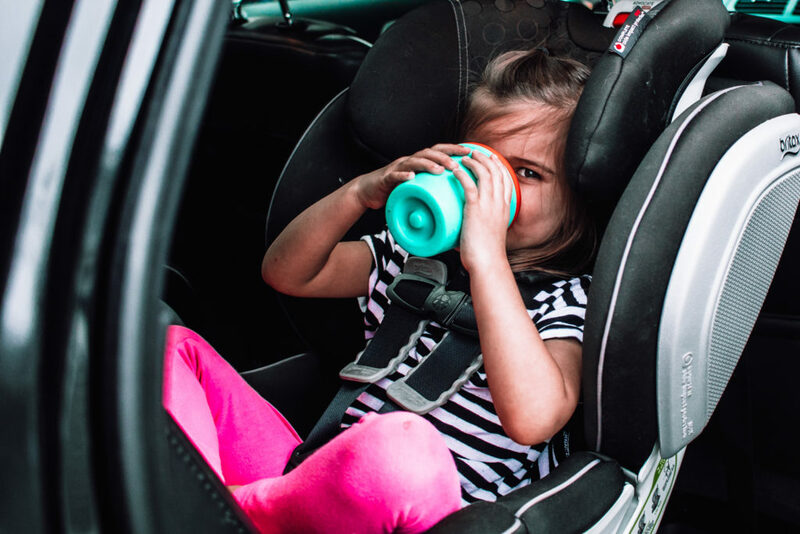 Now kids can match mom & dad with these Silicone Travel Mugs in 16 oz & 8 oz size options! They’re not only super durable & easy to clean, but they do not harbor bacteria. These dishwasher & microwave safe cups are also freezer safe & hypo-allergenic. This uncollapsable mug is the only one on the market without a plastic lid, making it a responsible option. It fits perfectly into a cup holder so it’s great for on-the-go. You can reheat hot beverages in the microwave & take them with you out & about. 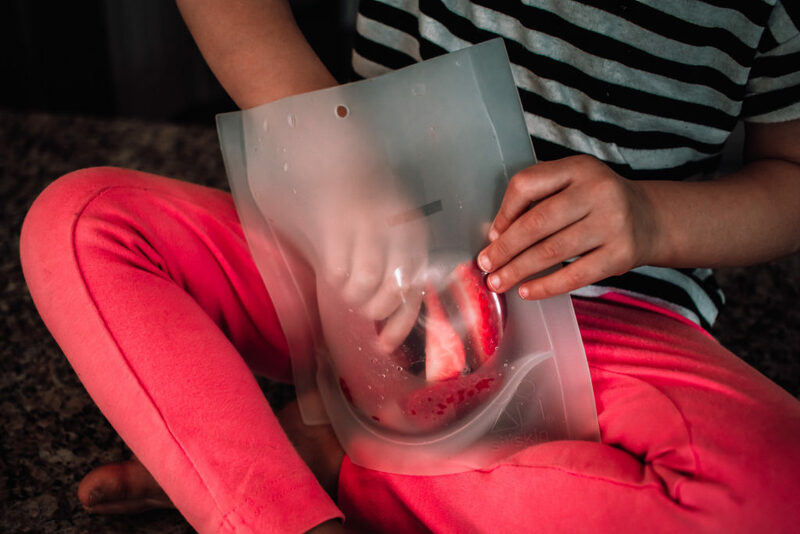 The Reusable Silicone Food Bags are perfect for snacks & lunches on the go. 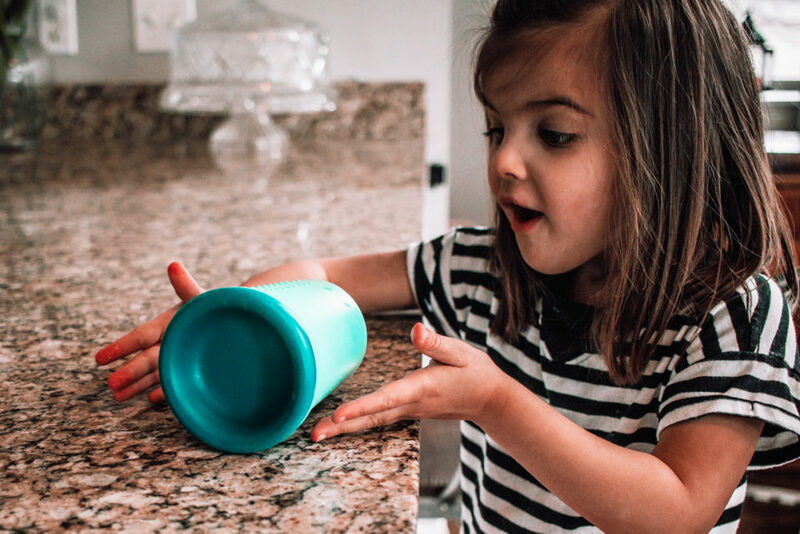 this BPA free silicone has no velcro, plastic or cloth, making it truly dishwasher safe. They are both durable & easy to clean, making them a no brainer for reducing plastic waste. These unique bags can be boiled, frozen, and even heated in the microwave. The translucent design & clear window lets you see what’s inside, so it’s fast, easy & convenient. 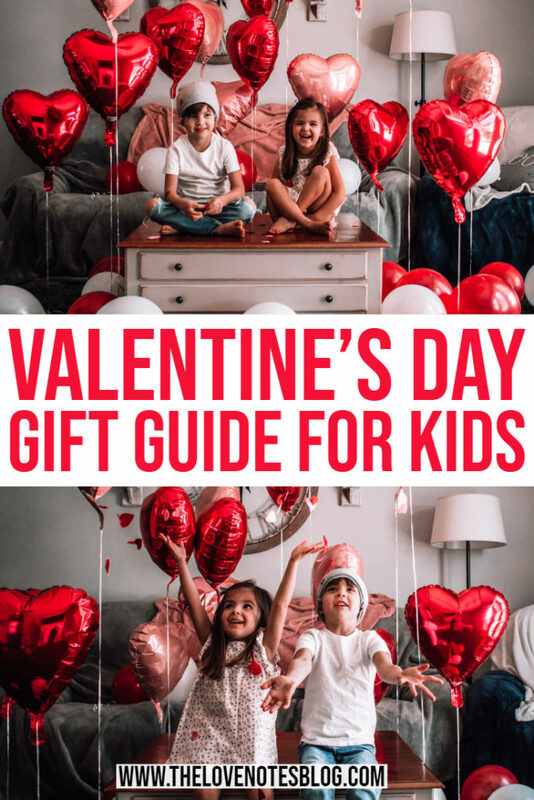 For more fun gift ideas for kids, check out my post on Valentine’s Day Gift Ideas for Kids.